We are dedicating to providing a safe environment for your children while you train. At this time, we will need reservations prior to your visit with us to ensure the child care room maintains a safe adult to child ratio. Purchase reoccurring monthly access pass for only $10/ month for total access. Pass automatically renews monthly. Cancel at any time. General Rules Members and guests must remain present in the facility for the entire duration of their child’s stay. For safety reasons, the Childcare Specialist(s) reserves the right to refuse admittance to a child if the number of children per staff member exceeds capacity. Ratio, depending on children ages, will be at a maximum 10:1. Please arrive at least 10 minutes early so that you and your child/children will have a chance to settle in. Although a CPR certified Child Care Specialist will be present at all times, in the consideration of allowing your child to enroll in our childcare service, you hereby personally assume all risks of bodily injury, property damage, or death due of your child to negligence of the Academy, its principals, agents, employees, instructors, volunteers, fellow students, childcare specialists, or others connected with the activities undertaken in the facility; and further for you and your own capacity and as a guardian of the minor, spouse, legal representatives, heirs, and assigns, hereby releases, waives, discharges and agrees to save and hold harmless the Academy of Palangi Kickboxing, its principals, agents, employees, instructors, volunteers, fellow students, or others connected with the activities undertaken in the our facility, for any injury or damage whether foreseen or unforeseen any claim resulting therefrom whether caused by the negligence of the Academy its principals, agents, employees, instructors, volunteers, fellow students, or childcare specialists arising out of the enrollment or participation in the program, and any childcare service. Please note that the Childcare Specialists are not related to Palangi Kickboxing. The Childcare Specialists are their own entity. 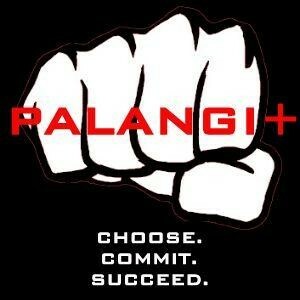 Palangi Kickboxing is a Martial Art Academy, and is not responsible for any occurrence within the childcare area. Outside Items Your child is welcome to bring a toy/book/activity with them if they choose, provided that any toy/book/activity comply with the health and safety regulations below. Please note and be fully aware that Palangi Kickboxing, Childcare Specialists, all employees, volunteers, and members are NOT responsible for anything lost or stolen. It is solely you and your child's responsibility. If items must be brought into the facility, proper labeling is highly recommended. Health and Safety The Childcare Specialist(s) reserves the right to deny access to any child who appears to be sick. Children kept home from school or camp due to illness are not allowed in the childcare area. Children must have shoes on at all times. The following items are not permitted in the childcare area: Sharp or pointy objects, items small enough to be a choking hazard, glass items, plastic bags, markers not provided by the facility. Food and Beverages No food is permitted in the childcare area; however, beverages are permitted and must be in non-spill containers. Behavior Parents or guardians will be notified of any child’s misbehavior. The Childcare Specialists reserve the right to deny access to any child as a result of continual behavior problems, and is in the sole discretion of the Childcare Specialists. If a crying child cannot be consoled after 10-15 minutes, the parent or guardian will be notified. Time outs will be issued with an age appropriate time limit, and parents will be notified of any inappropriate behavior. There are no upcoming “Child Care PM Reservations” classes on this day.